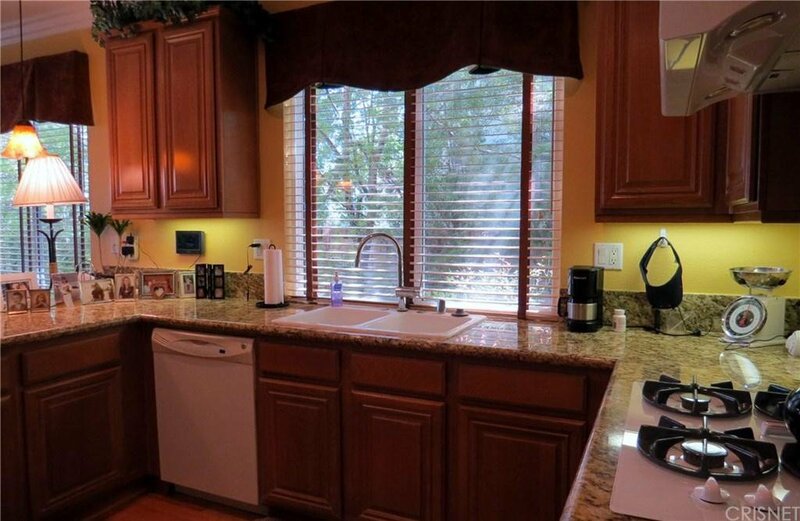 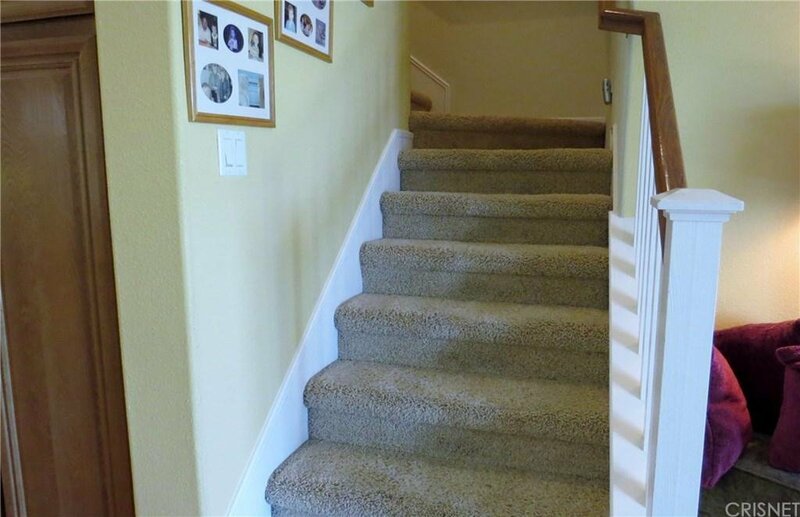 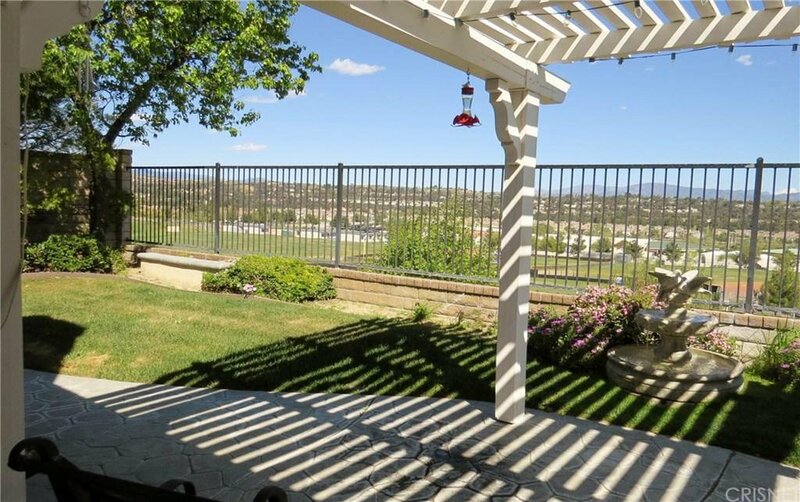 This beautiful home is located in the highly desirable Alta Vista Community in Valencia. 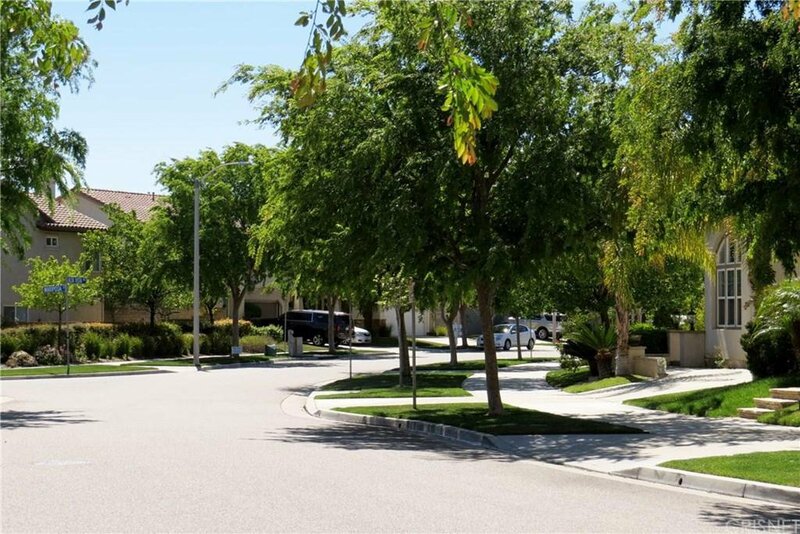 Offering 2,056 square feet of living space, this two-story single-family home is well-designed featuring upgrades throughout. 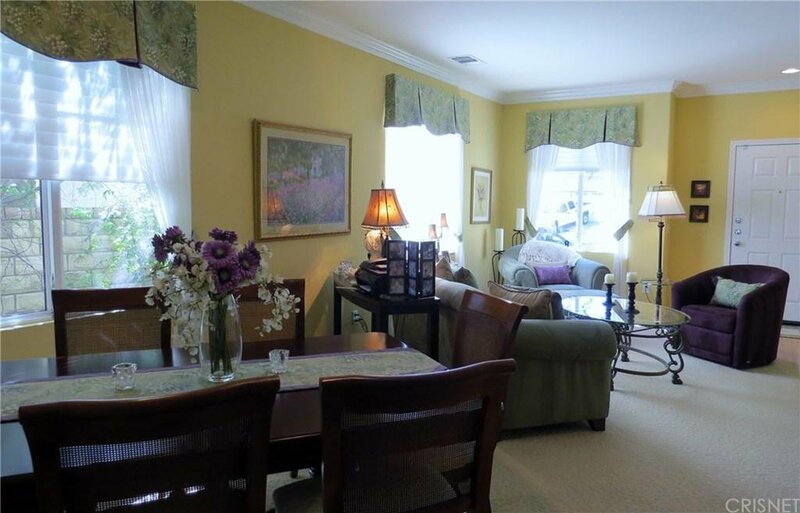 Features include: A formal living and dining room as you walk in, a separate family room with a fireplace and a kitchen with bar stool seating, granite counter-tops, double oven and a custom wall papered powder room all located on the first level. 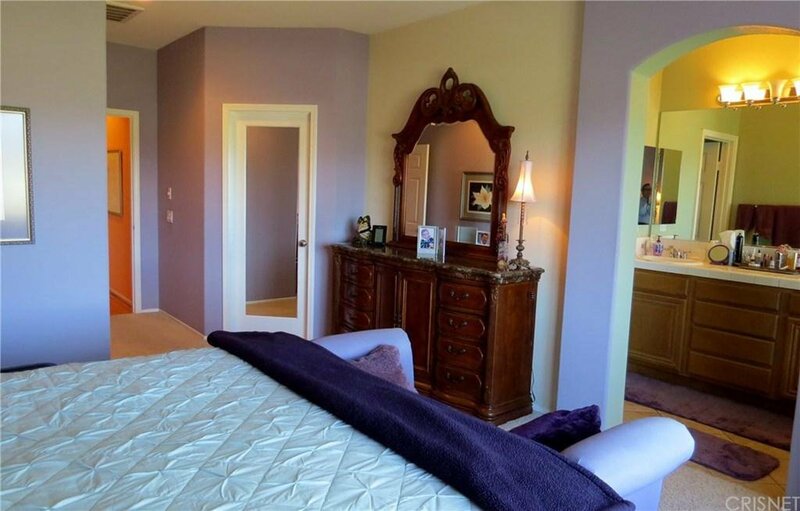 The master suite is conveniently situated on the main floor as well with an en-suite bathroom that has a spa bathtub and separate shower. 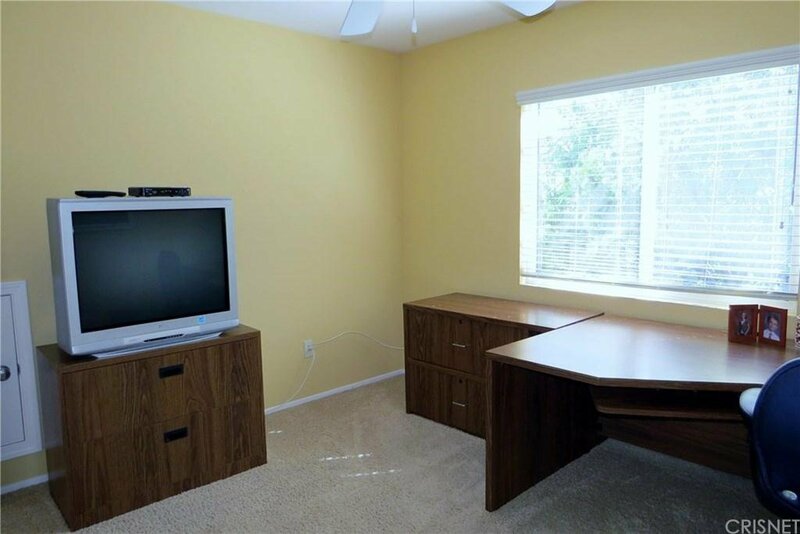 There is a large walk-in closet, ceiling fan and blackout shades. 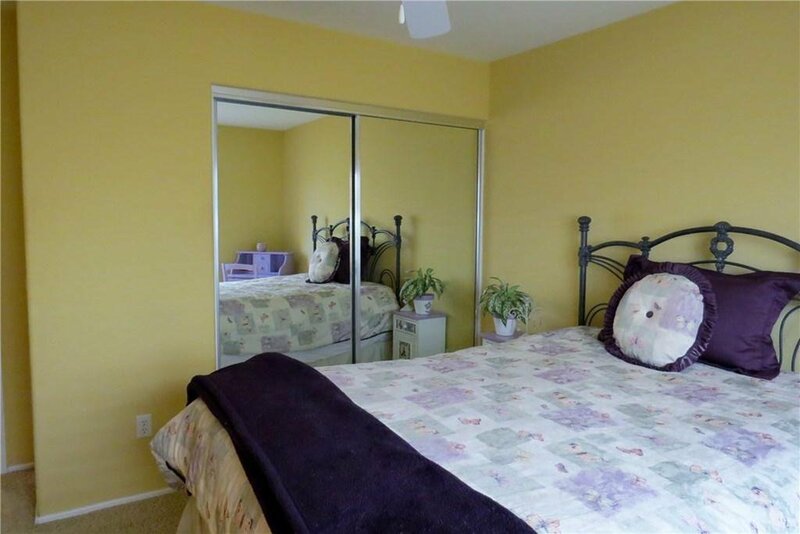 Upstairs there are two spacious bedrooms with generous closet space, mirrored closet doors and ceiling fans. 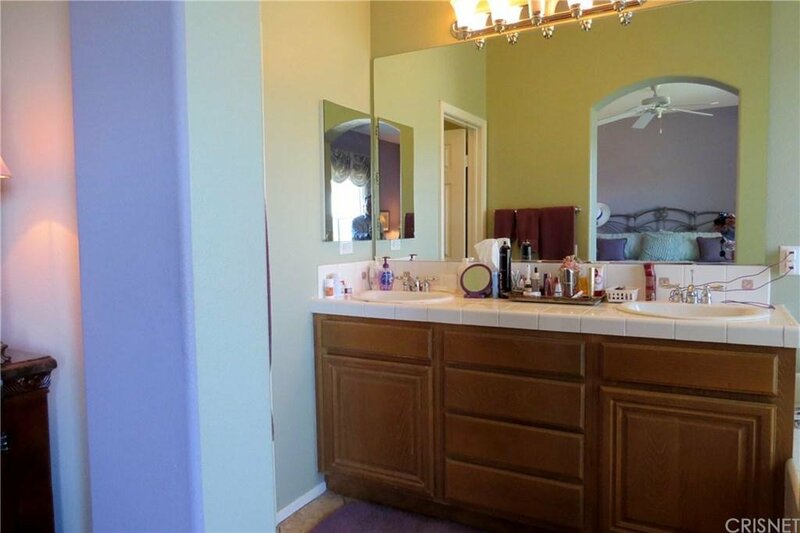 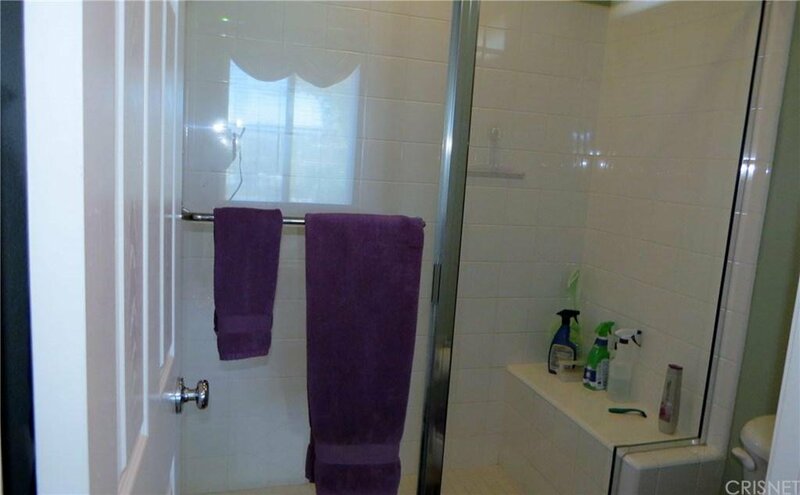 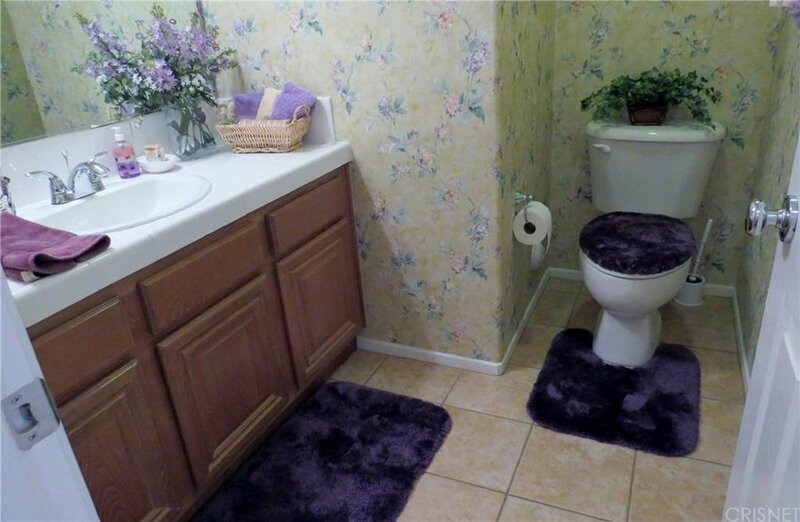 Both rooms share a bathroom in the hallway. 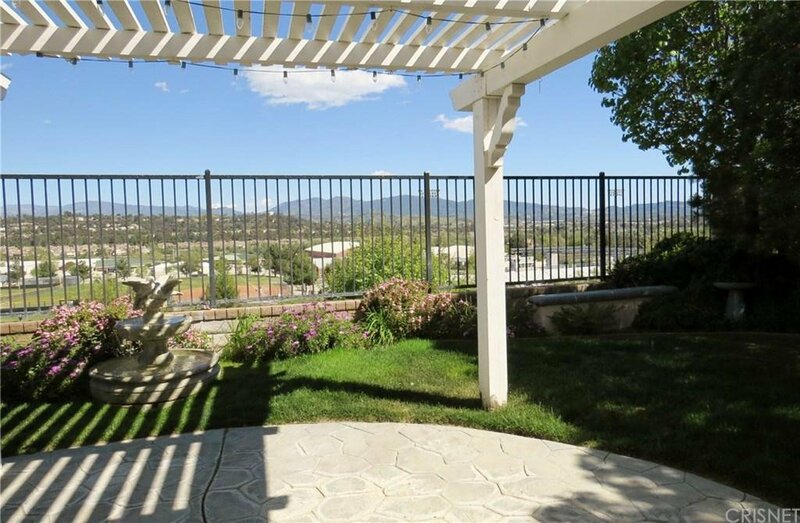 The backyard has an amazing view, perfect for lounging and entertaining. 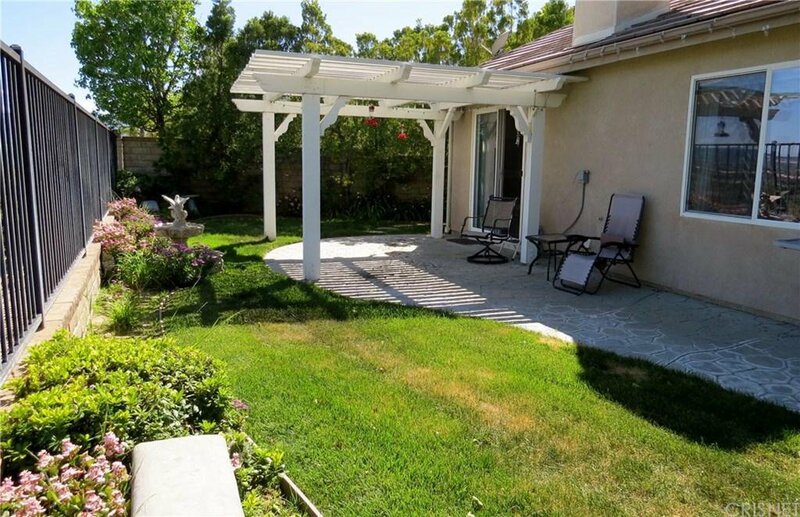 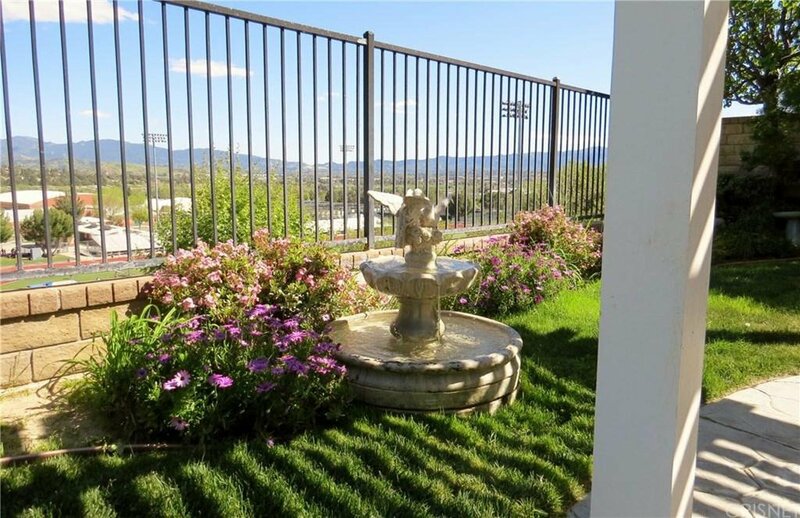 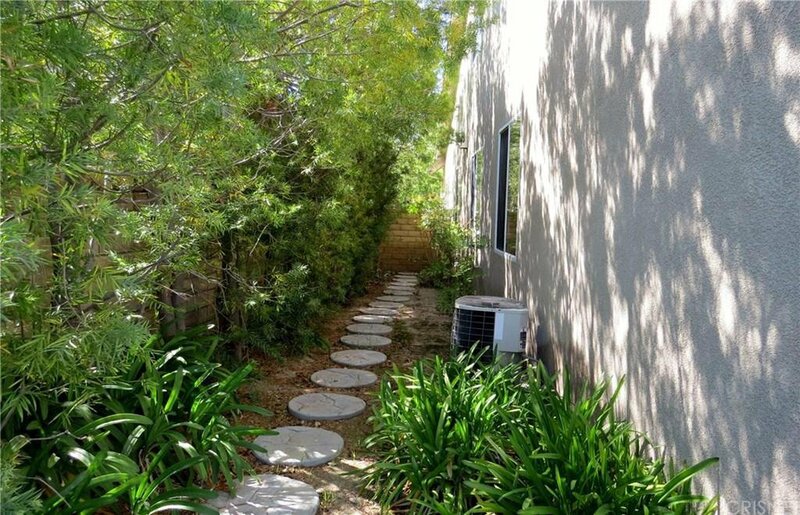 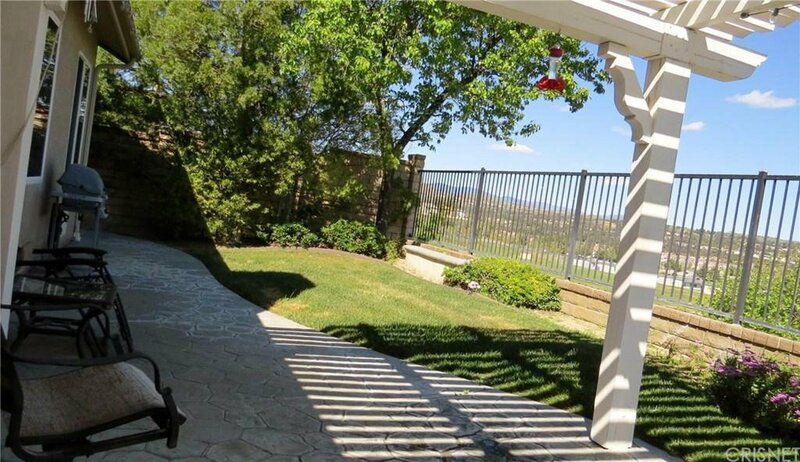 It has plenty of grass, a fountain and a stamped concrete cement patio with a trellis styled patio cover. 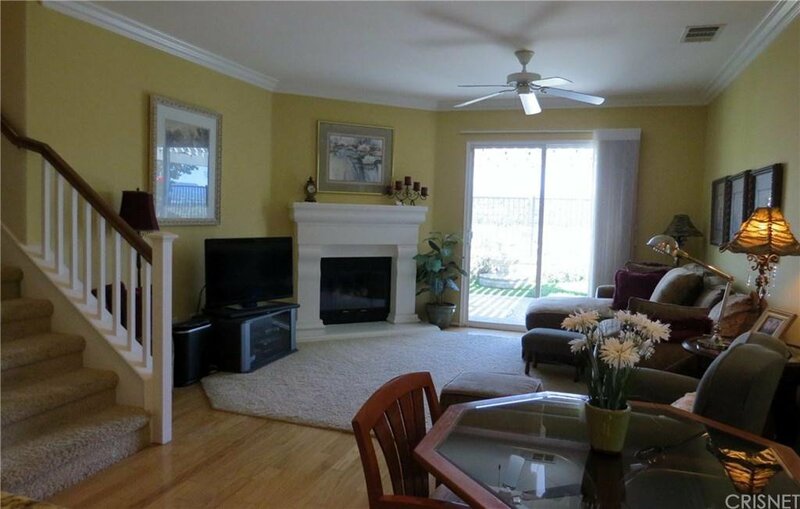 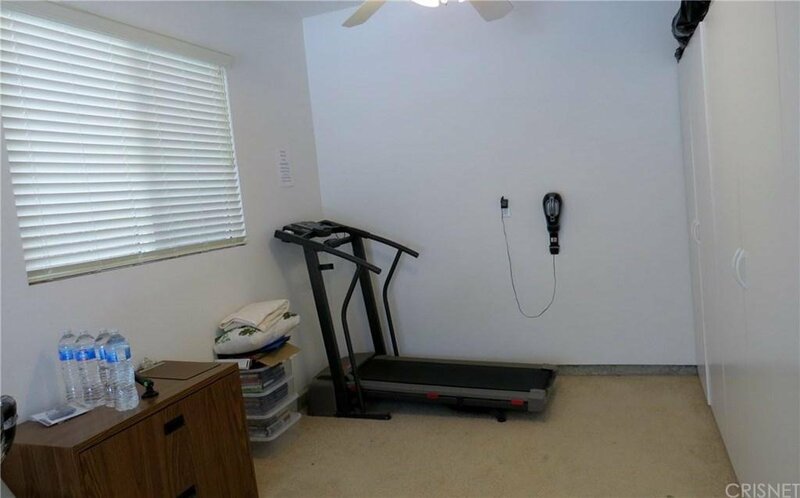 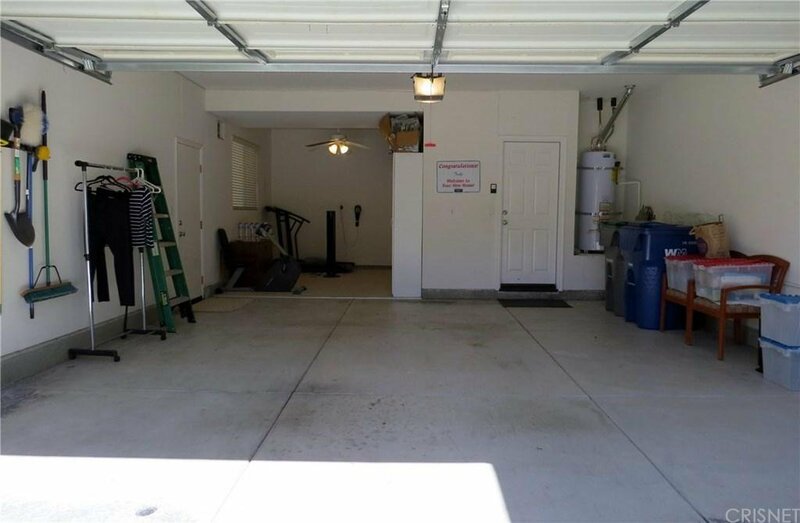 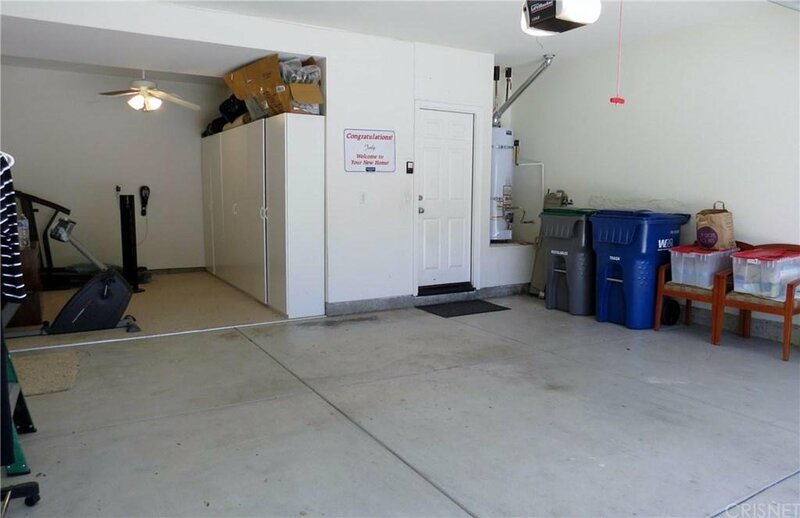 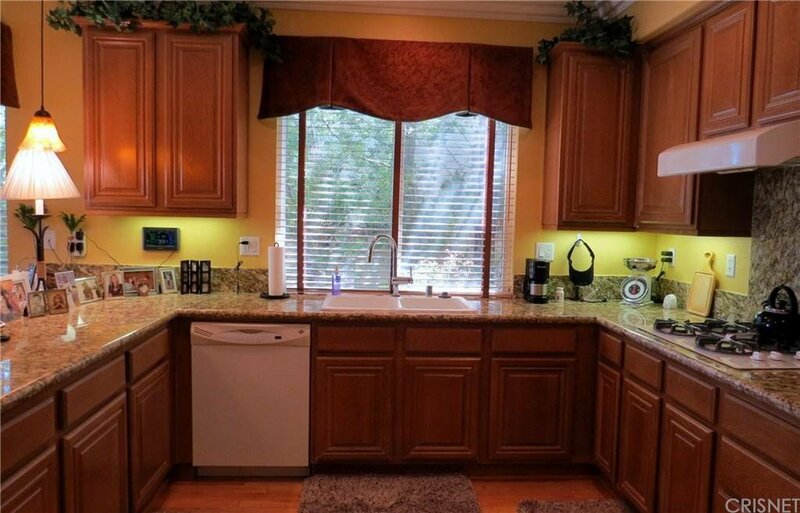 There is an attached 3-car garage / 2 car & bonus area with plenty of storage. 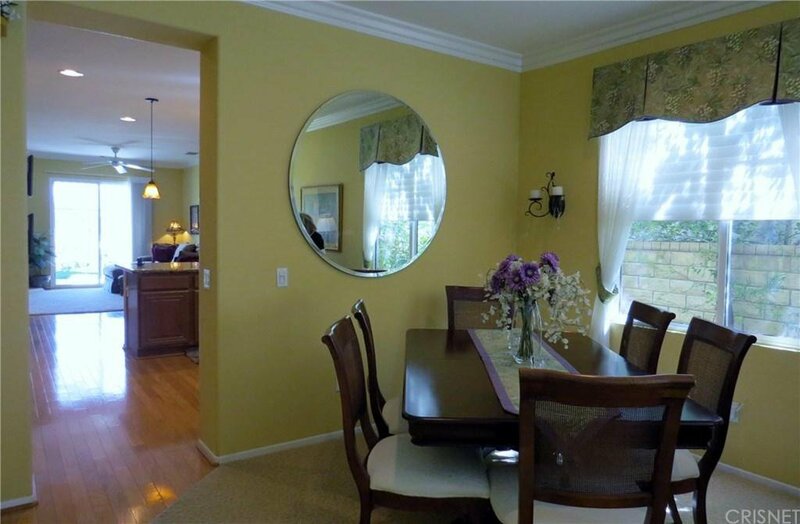 Conveniently located to schools, dining, shopping, transportation and the 5 freeway.